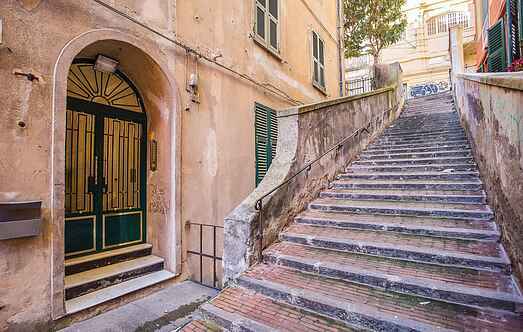 Choose from a selection of 12 holiday rentals in Genoa. Use the search form to the left to filter the results and pick your choice of self catering accommodation in Genoa. 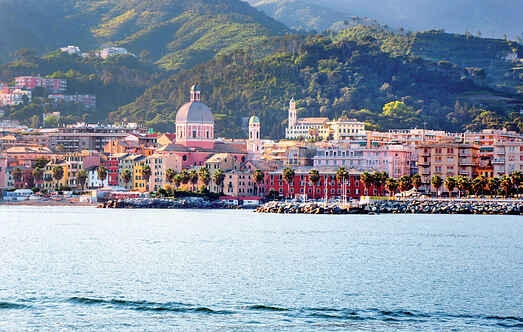 We have a good selection of holiday apartments in Genoa perfect for family, single, romantic and group holidays. You may prefer to take a look at our listed holiday villas in Genoa or holiday apartments in Genoa. Find your holiday homes by a specific type using the property type drop down in the filter. Filter the holiday homes in Genoa by a specific area using the area list above. Cosy apartment on the first floor in a building in one of the most prestigious street of Genova, a few steps from the heart of the city. This apartment is located in a peaceful area, about 700 metres from the beach promenade of the district Genova-Pegli. Elegant holiday apartment in a residence 10 km from the center of Genoa, 500 meters from the sea and a few kilometres from the most famous resorts of the Riviera di Levante. Charming holiday apartment in an ancient convent of the 18 th century. Located just 1 km from the beautiful beaches of Priaruggia and 1. Elegant holiday apartment on the 4th floor (with lift), in one of the noble Palazzi of Rolli (UNESCO World Heritage Site) in the centre of Genoa. Bright holiday apartment in the historical center of Genova, in front of the famous Ancient Harbor a few steps from the commercial heart of the city. Bright apartment in the historical center of Genoa, in front of the famous old port and within walking distance of the business center of the city, in Liguria.